The Panthéon (Latin : pantheon, from Greek πάνθειον (ἱερόν) '(temple) to all the gods'  ) is a building in the Latin Quarter in Paris, France. It was originally built as a church dedicated to St. Genevieve and to house the reliquary châsse containing her relics but, after many changes, now functions as a secular mausoleum containing the remains of distinguished French citizens. It is an early example of neo-classicism, with a façade modelled on the Pantheon in Rome, surmounted by a dome that owes some of its character to Bramante's Tempietto. Located in the 5th arrondissement on the Montagne Sainte-Geneviève, the Panthéon looks out over all of Paris. Designer Jacques-Germain Soufflot had the intention of combining the lightness and brightness of the Gothic cathedral with classical principles, but its role as a mausoleum required the great Gothic windows to be blocked. Jacques-Germain Soufflot was a French architect in the international circle that introduced neoclassicism. His most famous work is the Panthéon in Paris, built from 1755 onwards, originally as a church dedicated to Saint Genevieve. The overall design was that of a Greek cross with a massive portico of Corinthian columns. Its ambitious lines called for a vast building 110 metres long by 84 metres wide, and 83 metres high. No less vast was its crypt. Soufflot's masterstroke is concealed from casual view: the triple dome, each shell fitted within the others, permits a view through the oculus of the coffered inner dome of the second dome, frescoed by Antoine Gros with The Apotheosis of Saint Genevieve. The outermost dome is built of stone bound together with iron cramps and covered with lead sheathing, rather than of carpentry construction, as was the common French practice of the period. Concealed flying buttresses pass the massive weight of the triple construction outwards to the portico columns. The Corinthian order is the last developed of the three principal classical orders of ancient Greek and Roman architecture. The other two are the Doric order which was the earliest, followed by the Ionic order. When classical architecture was revived during the Renaissance, two more orders were added to the canon, the Tuscan order and the Composite order. The Corinthian, with its offshoot the Composite, is the most ornate of the orders. This architectural style is characterized by slender fluted columns and elaborate capitals decorated with acanthus leaves and scrolls. There are many variations. A crypt is a stone chamber beneath the floor of a church or other building. It typically contains coffins, sarcophagi, or religious relics. The foundations were laid in 1758, but due to economic problems work proceeded slowly. In 1780, Soufflot died and was replaced by his student, Jean-Baptiste Rondelet. The re-modelled Abbey of St. Genevieve was finally completed in 1790, coinciding with the early stages of the French Revolution. Upon the death of the popular French orator and statesman Honoré Gabriel Riqueti, comte de Mirabeau on 2 April 1791, the National Constituent Assembly, whose president had been Mirabeau, ordered that the building be changed from a church to a mausoleum for the interment of great Frenchmen, retaining Quatremère de Quincy to oversee the project. Mirabeau was the first person interred there, on 4 April 1791. Jean Guillaume Moitte created a pediment sculptural group The Fatherland crowning the heroic and civic virtues that was replaced upon the Bourbon Restoration with one by David d'Angers. Twice since then it has reverted to being a church, only to become again a meeting house dedicated to the great intellectuals of France. The cross of the dome, which was retained in compromise, is again visible during the current major restoration project. Jean-Baptiste Rondelet was an architectural theorist of the late Enlightenment era and chief architect of the church of Sainte-Geneviève after the death of Jacques Germain Soufflot of cancer in 1780. Honoré Gabriel Riqueti, Count of Mirabeau was a leader of the early stages of the French Revolution. A noble, he was involved in numerous scandals before the start of the Revolution in 1789 that had left his reputation in ruins. Nonetheless, he rose to the top of the French political hierarchy in the years 1789–1791 and acquired the reputation of a voice of the people. A successful orator, he was the leader of the moderate position among revolutionaries by favoring a constitutional monarchy built on the model of Great Britain. When he died he was a great national hero, even though support for his moderate position was slipping away. The later discovery that he was in the pay of King Louis XVI and the Austrian enemies of France beginning in 1790 caused his posthumous disgrace. Historians are deeply split on whether he was a great leader who almost saved the nation from the Terror, a venal demagogue lacking political or moral values, or a traitor in the pay of the enemy. In 1851, physicist Léon Foucault demonstrated the rotation of the Earth by constructing a 67-metre (220 ft) Foucault pendulum beneath the central dome. The original sphere from the pendulum was temporarily displayed at the Panthéon in the 1990s (starting in 1995) during renovations at the Musée des Arts et Métiers. The original pendulum was later returned to the Musée des Arts et Métiers, and a copy is now displayed at the Panthéon. It has been listed since 1920 as a monument historique by the French Ministry of Culture. From 1906 to 1922 the Panthéon was the site of Auguste Rodin's famous sculpture The Thinker . In 2006, Ernesto Neto, a Brazilian artist, installed "Léviathan Thot", an anthropomorphic installation inspired by the biblical monster. The art installation was in the Panthéon from 15 September 2006 until 31 October for Paris's Autumn Festival. Jean Bernard Léon Foucault was a French physicist best known for his demonstration of the Foucault pendulum, a device demonstrating the effect of the Earth's rotation. He also made an early measurement of the speed of light, discovered eddy currents, and is credited with naming the gyroscope. The Foucault pendulum or Foucault's pendulum is a simple device named after French physicist Léon Foucault and conceived as an experiment to demonstrate the Earth's rotation. The pendulum was introduced in 1851 and was the first experiment to give simple, direct evidence of the earth's rotation. Today, Foucault pendulums are popular displays in science museums and universities. In late 2006, a "cultural guerilla movement" calling itself The Untergunther (part of the larger organisation les UX) completed a year-long project by which they covertly repaired the Panthéon's antique clockworks. The Government tried (unsuccessfully) to sue the group for the intervention. The UX is an underground organization that improves hidden corners of Paris. Their works have included restoring the Pantheon clock, building a cinema, complete with bar and restaurant, underneath the Trocadéro, restoring medieval crypts, and staging plays and readings in monuments after dark. The group's membership is largely secret, but its spokespeople include Lazar Kunstmann. By burying its great people in the Panthéon, the nation acknowledges the honour it received from them. As such, interment here is severely restricted and is allowed only by a parliamentary act for "National Heroes". Similar high honours exist in Les Invalides for historical military leaders such as Napoléon, Turenne and Vauban. On 30 November 2002, in an elaborate but solemn procession, six Republican Guards carried the coffin of Alexandre Dumas (1802–1870), the author of The Three Musketeers and other famous novels, to the Panthéon. Draped in a blue-velvet cloth inscribed with the Musketeers' motto: "Un pour tous, tous pour un" ("One for all, all for one,") the remains had been transported from their original interment site in the Cimetière de Villers-Cotterêts in Aisne, France. In his speech, President Jacques Chirac stated that an injustice was being corrected with the proper honouring of one of France's greatest authors. Sous la chape de haine et de nuit tombée sur la France dans les années d'occupation, des lumières, par milliers, refusèrent de s'éteindre. Nommés "Juste parmi les Nations" ou restés anonymes, des femmes et des hommes, de toutes origines et de toutes conditions, ont sauvé des juifs des persécutions antisémites et des camps d'extermination. Bravant les risques encourus, ils ont incarné l'honneur de la France, ses valeurs de justice, de tolérance et d'humanité. Under the cloak of hatred and darkness that spread over France during the years of [Nazi] occupation, thousands of lights refused to be extinguished. Named as "Righteous among the Nations" or remaining anonymous, women and men, of all backgrounds and social classes, saved Jews from anti-Semitic persecution and the extermination camps. Braving the risks involved, they embodied the honour of France, and its values of justice, tolerance and humanity. 1793 Louis Michel le Peletier de Saint-Fargeau Assassinated deputy, disinterred from the Panthéon. His body was removed by his family on 14 February 1795. 1794 Jean-Paul Marat Disinterred from the Panthéon. 1808 Jean-Pierre Firmin Malher Urn with his heart. 1809 Justin Bonaventure Morard de Galles Urn with his heart. 1812 Jan Willem de Winter or in French Jean Guillaume De Winter, comte de Huessen Body only; his heart is sepulchred in his birthplace Kampen, Overijssel. 1889 Lazare Carnot Buried at the time of the centennial celebration of the French Revolution. 1889 Théophile-Malo Corret de la Tour d'Auvergne Buried at the time of the centennial celebration of the French Revolution. 1889 François Séverin Marceau-Desgraviers Buried at the time of the centennial celebration of the French Revolution – Only his ashes are buried there. 1894 Marie François Sadi Carnot Buried immediately after his assassination. 1907 Marcellin Berthelot Buried with his wife: Sophie Berthelot, the first woman buried here. 1924 Jean Jaurès Interred ten years after his assassination. 1948 Jean Perrin Nobel Prize Winner Buried the same day as Paul Langevin. 1949 Victor Schoelcher His father Marc is also in the Panthéon. Victor wanted to be buried with his father. 1949 Félix Éboué Buried the same day as Victor Schoelcher. 1964 Jean Moulin Ashes transferred from Père Lachaise Cemetery on 19 December 1964. 1967 Antoine de Saint-Exupéry Commemorated with an inscription in November 1967, as his body was never found. 1987 René Cassin Nobel Prize Winner Entered the Panthéon on the centenary of his birth. 1988 Jean Monnet Entered the Panthéon on the centenary of his birth. 1989 Abbé Baptiste-Henri Grégoire Buried at the time of the bicentennial celebration of the French Revolution. 1989 Gaspard Monge Buried at the time of the bicentennial celebration of the French Revolution. 1989 Marquis de Condorcet Buried at the time of the bicentennial celebration of the French Revolution. The coffin is in fact empty, his remains having been lost. 1996 André Malraux Ashes transferred from Verrières-le-Buisson (Essonne) Cemetery on 23 November 1996 on the 20th anniversary of his death. 2002 Alexandre Dumas, père Reburied here 132 years after his death. Listing of the work of Jean Antoine Injalbert-French sculptor Sculptor of statue of Mirabeau. Les Invalides, formally the Hôtel national des Invalides, or also as Hôtel des Invalides, is a complex of buildings in the 7th arrondissement of Paris, France, containing museums and monuments, all relating to the military history of France, as well as a hospital and a retirement home for war veterans, the building's original purpose. The buildings house the Musée de l'Armée, the military museum of the Army of France, the Musée des Plans-Reliefs, and the Musée d'Histoire Contemporaine, as well as the Dôme des Invalides, a large church, the tallest in Paris at a height of 107 meters, with the tombs of some of France's war heroes, most notably Napoleon. The University of Paris, metonymically known as the Sorbonne, was a university in Paris, France, active 1150–1793, and 1806–1970. The Conservatoire national des arts et métiers is a doctoral degree-granting higher education establishment and Grande école in engineering, operated by the French government, dedicated to providing education and conducting research for the promotion of science and industry. It has a large museum of inventions accessible to the public. Saint Genevieve, is the patron saint of Paris in the Roman Catholic and Eastern Orthodox traditions. Her feast day is kept on January the 3rd. Victor de Riqueti, Marquis de Mirabeau was a French economist of the Physiocratic school. He was the father of Honoré, Comte de Mirabeau and is, in distinction, often referred to as the elder Mirabeau. 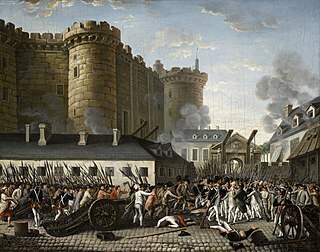 18th-century French literature is French literature written between 1715, the year of the death of King Louis XIV of France, and 1798, the year of the coup d'État of Bonaparte which brought the Consulate to power, concluded the French Revolution, and began the modern era of French history. This century of enormous economic, social, intellectual and political transformation produced two important literary and philosophical movements: during what became known as the Age of Enlightenment, the Philosophes questioned all existing institutions, including the church and state, and applied rationalism and scientific analysis to society; and a very different movement, which emerged in reaction to the first movement; the beginnings of Romanticism, which exalted the role of emotion in art and life. Abel-François Poisson de Vandières, marquis de Marigny and marquis de Menars, often referred to simply as marquis de Marigny, was a French nobleman who served as the director general of the King's Buildings. He was the brother of King Louis XV's influential mistress Madame de Pompadour. The Abbey of St Genevieve (Abbaye-Sainte-Geneviève) was a monastery in Paris, suppressed at the time of the French Revolution. Jean-Guillaume Moitte was a French sculptor. The Église Saint-Pothin is a Roman Catholic church located in Lyon, France. The parish church sits on the left bank of the Rhône, in the 6th arrondissement of Lyon, at the Place Edgar Quinet. By order of 2 May 2007, the whole church was included in the supplementary inventory of monuments historiques. Laurence de Cambronne is a French journalist, novelist and humanitarian. ↑ Oxford English Dictionary , 3rd edition, 2005, s.v. ↑ "Patroness of Paris: Rituals of Devotion in Early Modern France". Brills Publishers. 1998. ↑ Comte de Mirabeau had been elected President of the National Constituent Assembly on 29 January 1791. Upon his death, the Assembly decreed that the church of St. Genevieve should be [translation] "destined to receive the ashes of great men," and that "Honore Riqueti-Mirabeau is adjudged worthy to receive that honour." Mirabeau (Antonina Vallentin; trans. by E.W. Dickes). New York: The Viking Press, 1948. pp. 496-97, 522. ↑ "Foucault's Pendulum: Interesting Thing of the Day". Itotd.com. 2004-11-08. Retrieved 2014-02-21. ↑ Jon Lackman (2012-01-20). "The New French Hacker-Artist Underground". Wired. ↑ King, Emilie Boyer (2007-11-26). "Undercover restorers fix Paris landmark's clock". Guardian Unlimited . Guardian Media Group. ↑ Sage, Adam (2007-09-29). "Underground 'terrorists' with a mission to save city's neglected heritage". The Times . Times Newspapers Ltd.
↑ Angelique Chrisafis (1970-01-01). "France president Francois Hollande adds resistance heroines to Panthéon | World news". The Guardian . Retrieved 2015-05-30. ↑ Willsher, Kim (2018-06-30). "France pays tribute to Simone Veil with hero's burial in the Panthéon". the Guardian. Retrieved 2018-11-29. ↑ Voltaire (1976-01-01). Candide. Lulu.com. ISBN 9781105311604. ↑ Doyle, William (2002). The Oxford History of the French Revolution. UK: Oxford University Press. p. 283. ISBN 978-0-19-925298-5. ↑ (French) Charles Mullié "Michel Ordener." Biographie des célébrités militaires des armées de terre et de mer de 1789 à 1850, Paris, 1852. ↑ France Guide (2011). "Aimé Césaire joins Voltaire and Rousseau at the Panthéon in Paris". French Government Tourist Office. Retrieved 2011-04-09. Roe, David (2017-07-05). "France buries women's rights icon Simone Veil". en.rfi.fr. 1 2 Katz, Brigit. 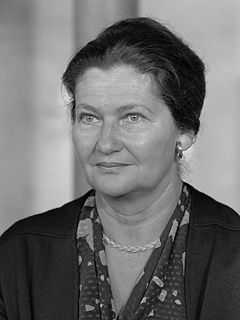 "France's Simone Veil Will Become the Fifth Woman Buried in the Panthéon" . Retrieved 7 July 2017. Wikimedia Commons has media related to Panthéon, Paris .